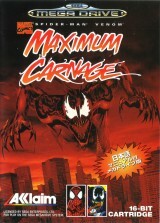 Spider-Man & Venom: Maximum Carnage	Contribute! 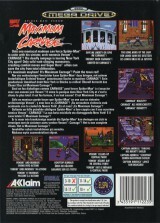 Spider-Man & Venom: Maximum Carnage (red cartridge)	Contribute! 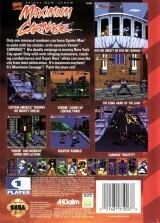 Spider-Man & Venom: Maximum Carnage (black cartridge)	Contribute! 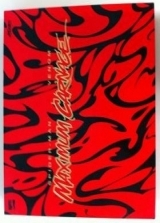 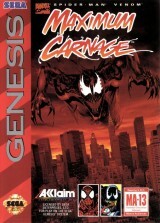 Spider-Man & Venom: Maximum Carnage (Red cart edition)	Contribute! 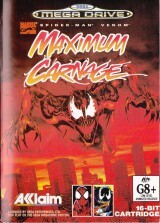 Spider-Man & Venom: Maximum Carnage (Collector's Box)	Contribute! 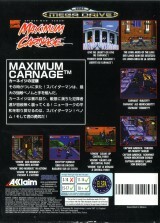 Spider-Man & Venom: Maximum Carnage (Black cart edition)	Contribute! 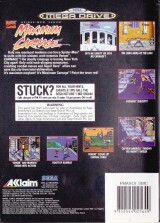 The australian cartidge isn't red like the usual pal version. 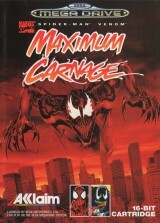 Spider-Man & Venom: Maximum Carnage (Rental version)	Contribute!